My story, 'The Deluge', is part of a great anthology of suspense stories set in Brisbane – 'Black Beacon's Subtropical Suspense'. It will be available in most online distributors' stores soon, and through select bricks and mortar outlets, but it can be purchased now from the publisher's store. It contains a lot of very good fiction, including my friend and associate, Sophie Yorkston (Editor in Chief of SQ Mag, for one thing). A very nice review on local radio in Brisbane Australia (4ZZZ FM), for Black Beacon's Subtropical Suspense – an anthology of suspense short stories, all set in Brisbane and surrounds. 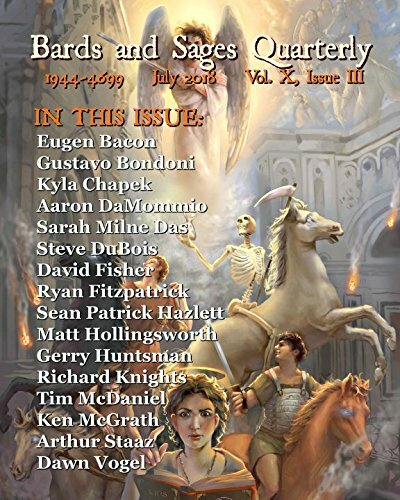 I was lucky to have my story, 'The Deluge' included in this work, and even luckier to have a mention in the review. You can hear the review here – at 1hr 27mins approximately. Great to have this publicity going. The book will be available through online retailers soon. Happy to reveal the cover for the suspense thriller anthology, Subtropical Suspense by Black Beacon Books. My short story, 'The Deluge', is contained therein, a tale tinged with…well, you'll have to read it. The cover was created by Greg Chapman. Pleased to have my short story, 'The Deluge' accepted by new Queensland publishing house, Black Beacon Books, for their Black Beacons: Brisbane anthology. This is a pleasing sale, as it is local, and it is a tale that came to me vividly, inspired by the Brisbane floods a few years ago.